the official launch date is january 6th so be sure to look for this cover on magazine shelves soon!!! 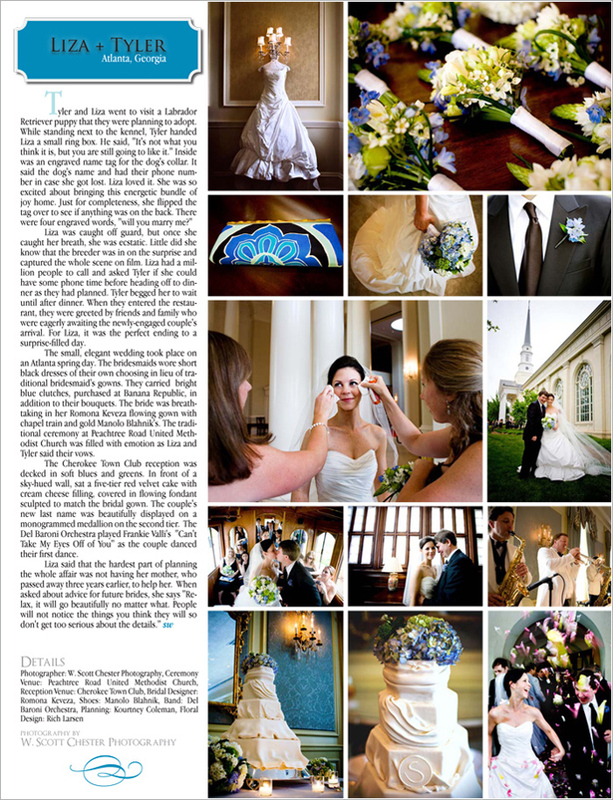 the very lovely may 10th atlanta wedding of liza + tyler is featured in the magazine! their wedding was filled with lots of great details + southern charm and liza wore the most amazing gown and manolo's! here's the spread and the images chosen by sw! most of our clients know how much scott likes ring shots and it was very cool to find out that 6 of our images were selected for their spread on ring shots! for any of our blog followers (and stalkers!) 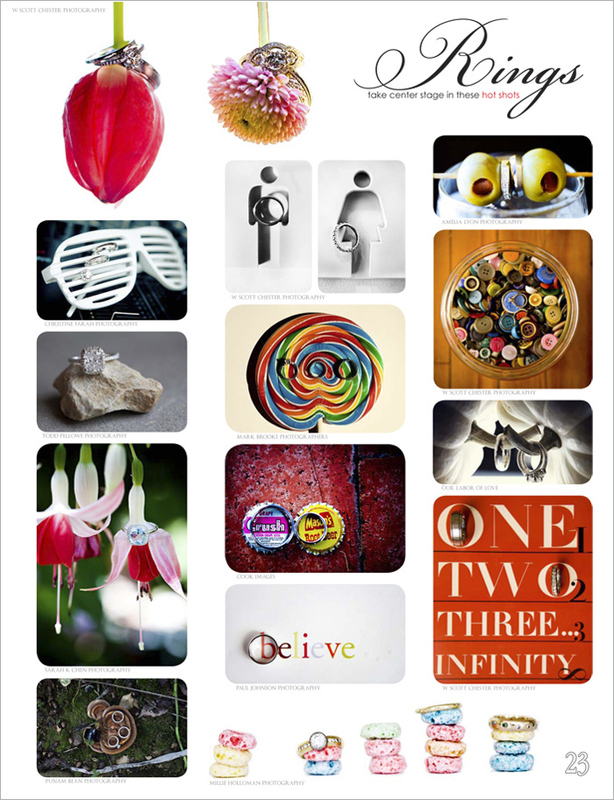 you have seen all 6 of them before....the red tulip was from ashley + eric's wedding, the cropped mum shot was from jaime + ben's wedding, the his + her bathroom door symbol images were from julie + patrick's wedding, the jar of buttons is from eryn + craig's wedding and the 'one, two, three... infinity' book cover shot is from kristin + ryan's wedding! 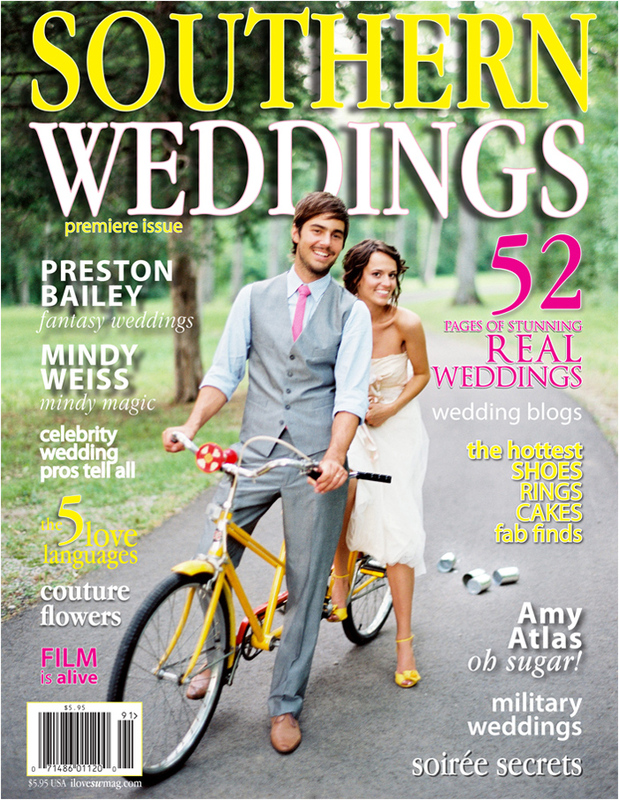 a BIG CONGRATS again to our friends at southern weddings!!! we can't wait for the official launch party in the ATL in a few weeks! also a HUGE THANKS to all of our amazing clients for inspiring us every day! now be sure to run (not walk) to your nearest book store on january 6th to pick up your copy of the magazine. you can check out the southern weddings blog to find out the exact locations across the country that the magazine can be purchased. happy reading!